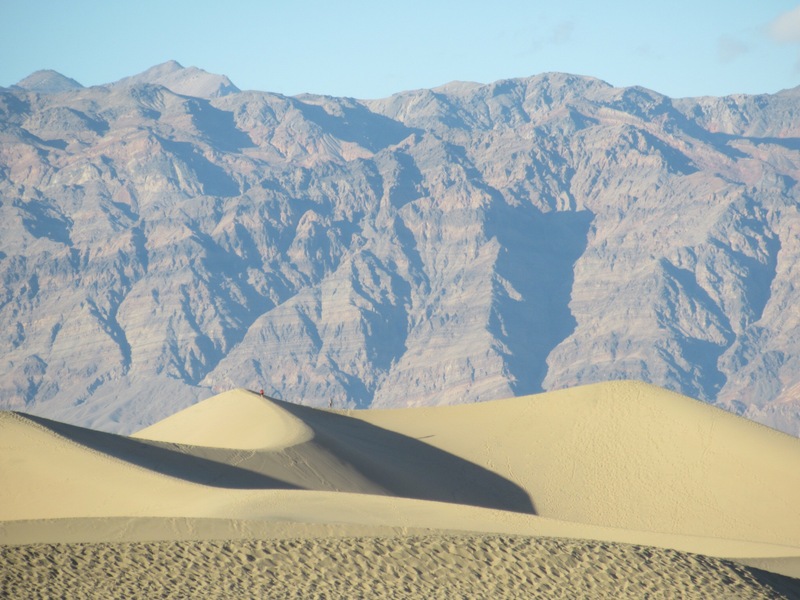 We were enchanted with Death Valley National Park. Despite its foreboding name, the low lying valley hugged by snow capped mountains welcomed us in. 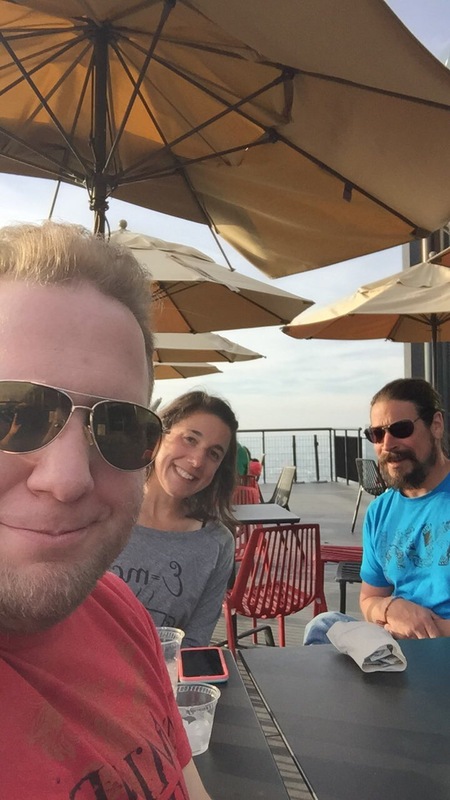 We arrived after a couple days of visiting my brother in Los Angeles. I had never been, and to my surprise I really enjoyed my time there. We spent time riding amusement park rides on Santa Monica Pier, went to the Griffith Observatory, and generally had a good time. The drive to Death Valley was an easy one, and along the way we enjoyed seeing exit signs for towns we visited while we hiked the Pacific Creat Trail. We caught a glimpse of the trail outside of Agua Dulce and drove right through Mojave, where we had spent a night before embarking into the final dessert stretch before the Sierras. 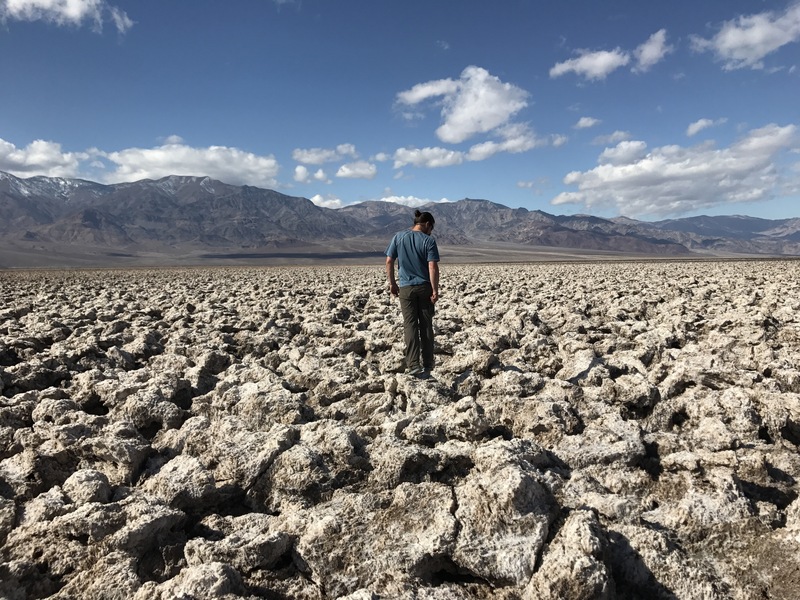 We reminisced as we drove, and quickly found ourselves driving through a mountain pass only to descend into Death Valley- the lowest point in the Western Hemisphere. We made camp at Texas Springs campground and plotted out the following day. 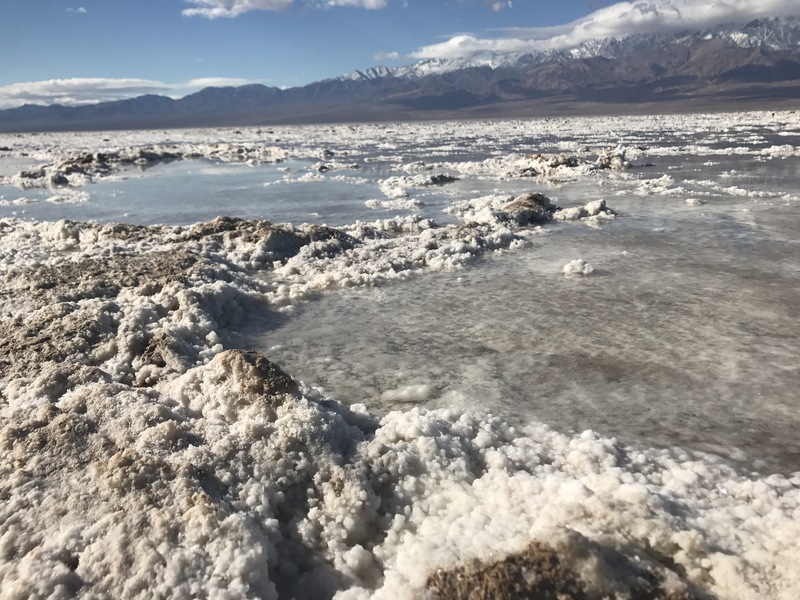 We first visited Badwater Basin, at 282 feet below sea level. The salt crystals crunched under our feet as we ventured out to the shallow salt water lake that exists in the basin. 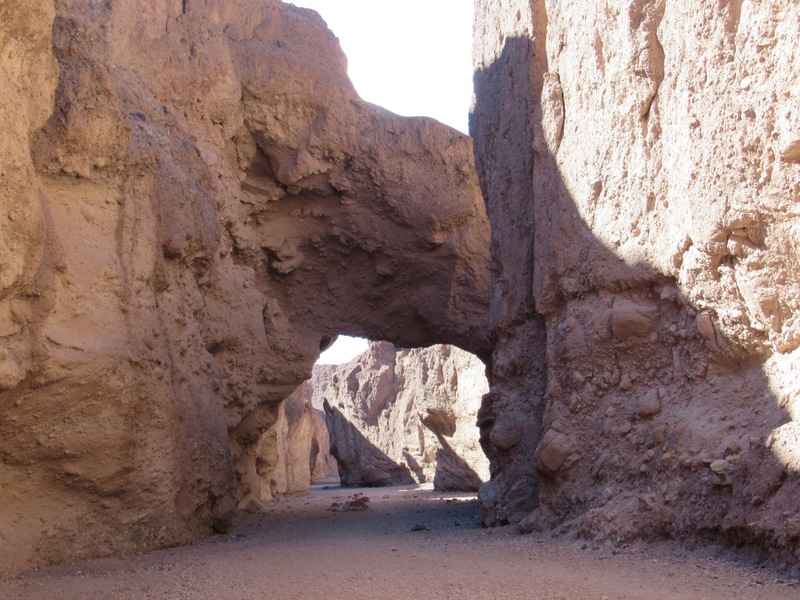 We then hiked up a narrow canyon to take in the natural land bridge. From there we visited the Devil’s Golf Course, a landscape of small salt pinnacles. We hopped from salt flat to salt flat, enjoying it like a playground. The chunks of salt were surprisingly firm, despite their appearance which I thought looked like dirty snow. Next up was a four mile loop hike through Golden Canyon to blank Gulch. 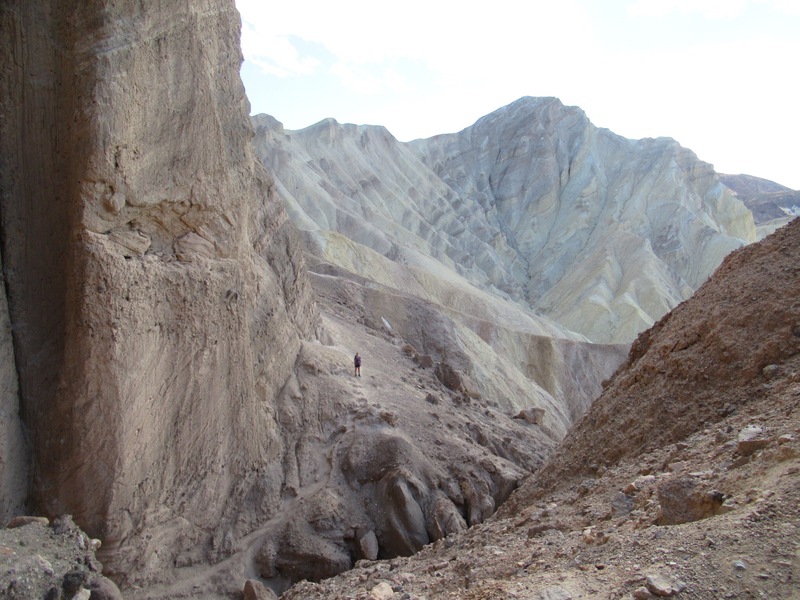 We saw the high walls of Red Cathedral, and marveled at the patterned badlands surrounding us. We wrapped up our day with a short drive to Mesquite Flats to explore the sand dunes. The sun started to set as we headed back to our campsite. Death Valley surprised us with all of its beauty. We easily could have stayed a few more days to enjoy our surroundings and 80 degree temperatures, but needed to move on to our next stop. Zion National Park, here we come! Our world is more beautiful then can be imagined! Thank you for sharing – gorgeous pics. We would go back in an instant; being that it is the largest NP in the lower 48, there is still a lot to be seen there! Great that you got to visit with Drew in this adventure!